The Supplemental Nutrition Assistance Program (SNAP) is the nation’s most important anti-hunger program, reaching 42 million in 2017 alone. SNAP kept 8.4 million people out of poverty in 2014, improving their immediate health and wellbeing, and resulting in better life outcomes and future self-sufficiency. SNAP-Education (SNAP-Ed) is the nutrition education component of SNAP. 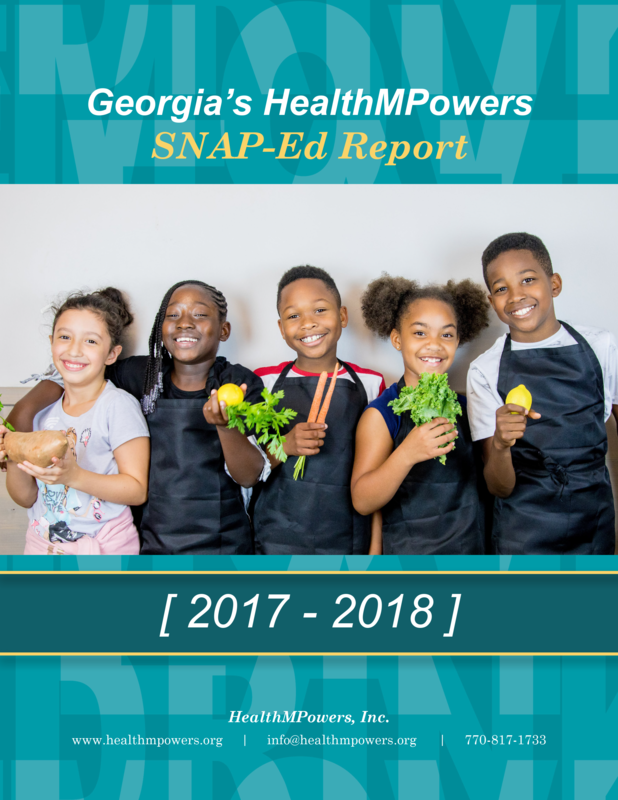 Through evidence-based, collaborative approaches, SNAP-Ed programs improve the likelihood that low-income families and youth will make healthy food choices and choose physically active lifestyles. 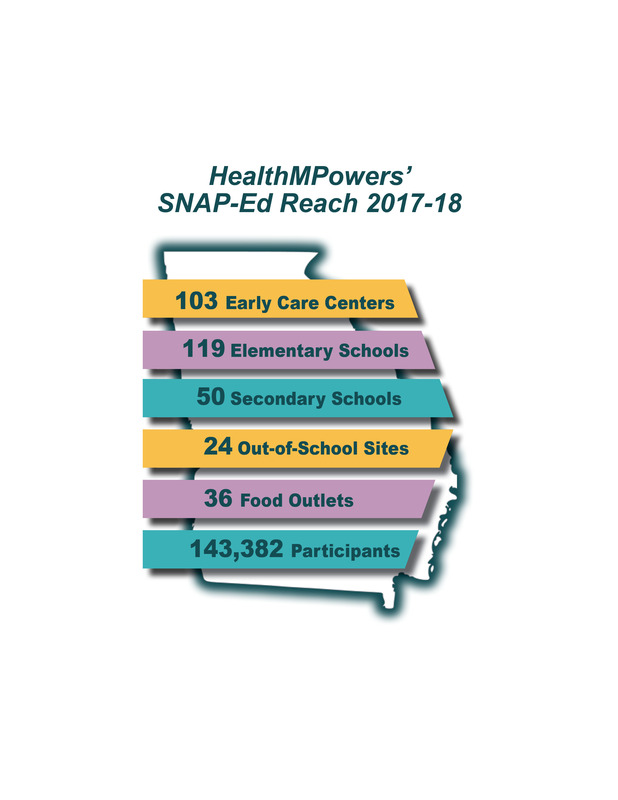 Last year, Georgia SNAP-Ed implementing agencies reached 151,958 participants in 135 counties. “Empowering Healthy Choices in Schools, Homes and Communities” works where SNAP-Ed populations learn, live, work, play and shop. By integrating nutrition education and physical activity into the settings where children spend their time, HealthMPowers creates a culture that supports lifelong healthy lifestyle choices for children, families and communities. This material was funded by USDA’s Supplemental Nutrition Assistance Program — SNAP. This institution is an equal opportunity provider. For more information about SNAP or help buying nutritious foods for a better diet can go to www.compass.ga.gov.